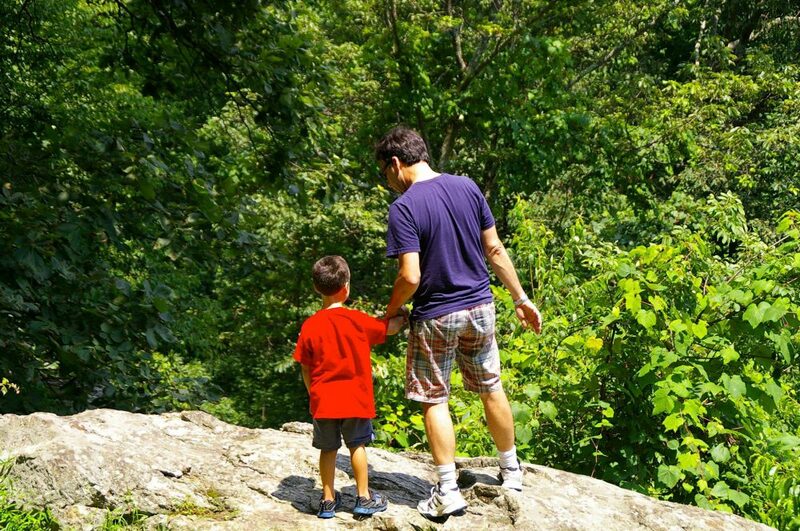 A couple of weeks ago, I joined a Facebook group called “Real Husbands of Autism.” It’s curated by a number of top autism bloggers who write from the father’s point of view. Many of the posts are fun and lighthearted, but there are also some really good insights and sharings about life on the spectrum. Well, this evening, one of the Autism Dads invited all members to revisit the “25 Things About Me” post that they wrote when this was all the rave on Facebook a few years ago. So I dug mine out and updated it a bit. So if you’re wondering who I am, look no further. 1. Marriage: 15 years. 6 kids. 5 cats. 4 houses. A dog. And a bird (who is no longer with us). 2. All six of my kids have an ASD diagnosis. 3. I write an occasional, painfully amateur blog about my family and ASD. 4. Although I’m 51, I still feel like I’m 30. 5. I lived in Tehran during the revolution that ousted the Shah in 1979. Next to my conversion, it remains the most influential event of my life. 6. I was a teenage muleteer. For a high school production of Man of La Mancha. In Tehran. Under martial law. With my brother, Dan. So that I would get an A in Honors English. Because of a tyrannical teacher/director. And his nutty choreographer. And a jaded but lovable music director. And I loved every minute of it. 7. I could never imagine myself as anything other than Catholic—even though I have had a few very tempting opportunities to try. 8. I have the perfect job: I get paid to read the Bible and edit a magazine all about it. 9. I have published 13 books, but I’m convinced that *the* book is still inside of me. 10. I was a member of a Christian covenant community in the Washington, D.C., area for 13 years (1982-1995). 11. After 11 years in Florida, I still think of myself as a Marylander. 12. I am an undying, uncritical fan of Disney World. Don’t mess with the Mouse! 13. I think Ann Arbor is a really cool city. If only it weren’t in Michigan! 15. When my mother died at the age of 62, her last act was to place her hand on my wife’s pregnant belly and pray a blessing over our first child—her first grandchild. 16. I think Charles Schulz is genius. He is one of my greatest inspirations. 17. There is no better food than homemade biscotti. 18. Before I was diagnosed with celiac disease in 2011, I used to bake my own biscotti. 19. I love to sing. Even if my kids try to cover my mouth when I do. 20. I have the best wife in the world: perceptive, generous, honest, loyal, affectionate, patient. And she doesn’t mind when I sing. 21. In November of 1996, I attended Mass with Pope John Paul II in his private chapel, with only about 25 other people. 22. I do not read as much—or as fast—as I would like. 23. I don’t much like cats. But I love Katie, my cat-loving wife. 24. I want to be buried on the hill at my alma mater, Mount St. Mary’s University in Emmitsburg, MD. That place will always feel like home to me. 25. My all-time favorite quote: ”Sam turned to Bywater, and so came back up the Hill, as day was ending once more. And he went on, and there was yellow light, and fire within; and the evening meal was ready, and he was expected. And Rose drew him in, and set him in his chair, and put little Elanor upon his lap. This entry was posted in From the Home Front by Leo Zanchettin. Bookmark the permalink. Hey Leo, I saw the links you left on the Real Husbands page, where I am one of the admins. Also saw you wrote about my article in your post “O Necessary Sin.” I appreciate the kind words. I’d like to connect with you on FB. Any man who had mass with Pope John Paul II is a man I’d like to know… I’ll send you a request. Thank *you* for the kind words, Jason. I really enjoyed your post, and I was happy to see that you’re one of the admins of my new favorite FB page. By all means, let’s connect! I’ll be more than happy to post this, Elizabeth. I’ll also put it on my Autism Blues Facebook page. One question: I am also a member of a Facebook group (it’s closed to members only) that consists of parents of children with autism as well as people with autism themselves. There are about 1,100 people in this group. Would you like me to post it there as well? It’s nice to “meet” you and read your posts. I thought I was defective because leaving the house with all the kids is rarely worth the effort, however putting them all in the van is calming for all of us. I have 7 kids. In order of diagnosis, #4 has Cerebral Palsy (2003), #5 has Down syndrome(2005), #2 has Aspergers(2013), #3 has Aspergers too(2015). Now I see #6 probably has it and #7 freaks out over little things too. #1 has many traits but has excelled in her first year of college after a childhood of excruciating loneliness. Can you send me your email. I want to talk to you about something I am seeing in my ASD patients that is important.